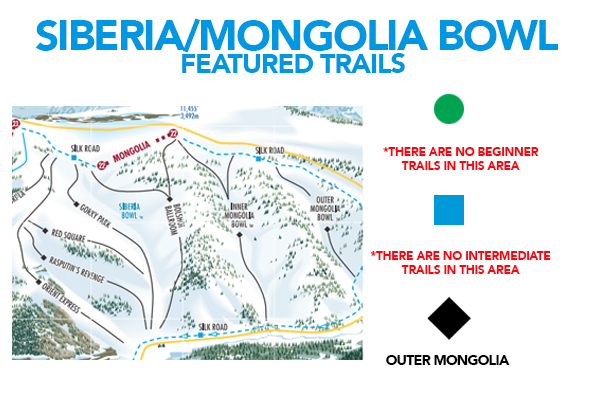 What makes Siberia & Mongolia Bowl Legendary? 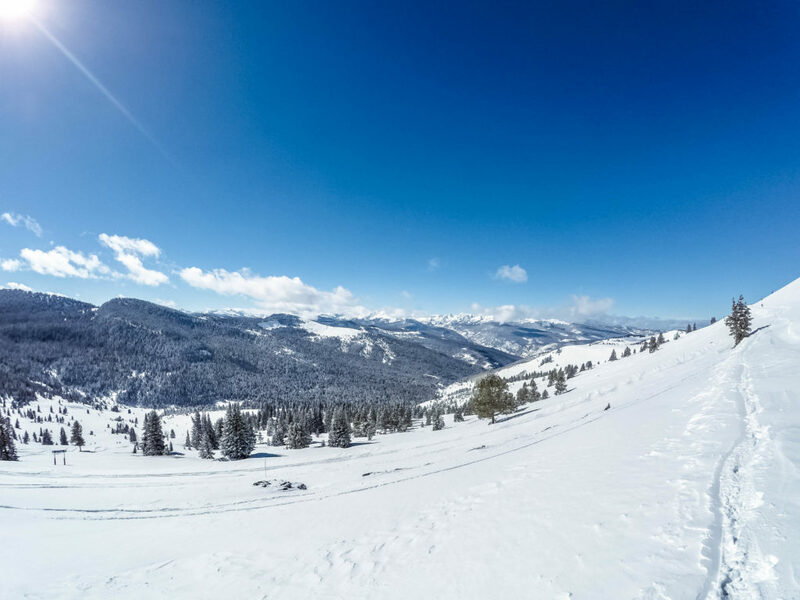 Looking for some perspective on Vail’s 5,289 skiable acres? Head out to Siberia & Mongolia Bowls to experience truly expansive terrain. East of Siberia, no lifts exist, except for the POMA Lift #22. This area is only recommended for advanced skiers, as the terrain is ungroomed, highly variable, & can provide some of the best powder stashes on the mountain especially on busy weekend days. Be sure to keep your speed at the bottom as the exit catwalk out can be slow moving. Locate the Orient Express (#22), take Silk road to POMA Lift #22. Siberia Bowl is West of the POMA, Mongolia Bowl is East. Getting away from the noise and crowds. Powder stashes, hidden gems, & advanced to expert terrain. ◆ Outer Mongolia: Outer Mongolia is FAR OUT! Seriously, it is the absolute Eastern most run on the entire mountain, accessible only by POMA Lift #22. Be sure to keep your speed at the bottom, because it is a long catwalk out! For what may seem like a lot of effort to get out there, the snow is often untracked, and the views are breathtaking.